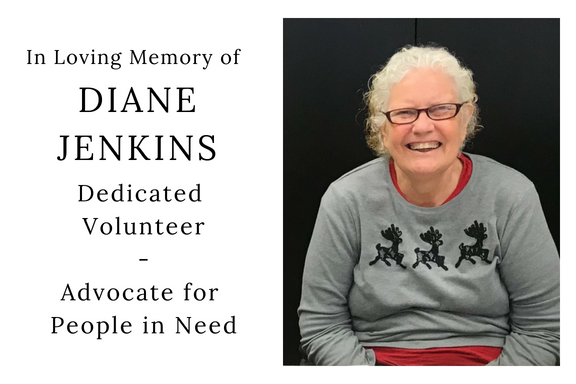 All of us at Britepaths are missing our dear friend and dedicated volunteer Diane Jenkins, who passed away at age 62 on July 13, 2018 after a hard-fought battle with cancer. Her husband Dave and son Marshall are also long-time volunteers, and our hearts go out to them and their family and many friends. 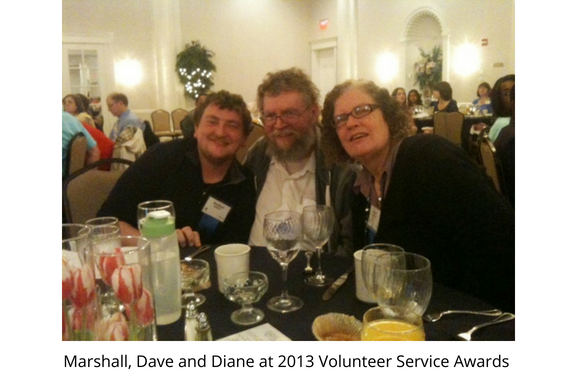 Diane, Dave and Marshall began volunteering with us in 2009, and have served in a variety of capacities over the years. They also served in many other capacities to help people in our community who are struggling. 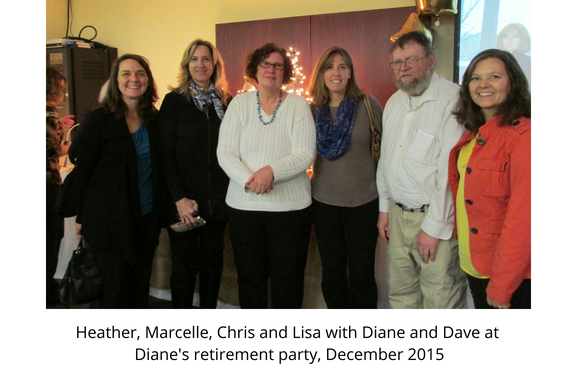 Diane and Dave both had long careers as Housing Service Specialists in Fairfax County’s Department of Housing, and their gift of speaking to our clients with compassion and understanding has been a treasured resource for our organization. In 2013, the Jenkins family won the Volunteer Fairfax Volunteer Service Award in the Family category for their dedicated service to Britepaths and our community. Before she retired in December 2015, Diane would volunteer with us when she could in the office, and was often a “life saver” who we could call on to fill in at information tables and events on evenings and weekends. After her retirement, she would help in the office often in any way she could, and also volunteered from home distributing financial assistance. During this time, she was also instrumental in helping Britepaths staff develop a program that we are now launching. As a manager of public housing properties during her career, Diane sought to help her tenants improve their lives by providing training and support to aid in their search for better jobs. Her experience inspired and informed our development of a Pre-Apprenticeship Training Program that we launched in June in partnership with Fairfax County’s Department of Housing, with the help of a Fairfax County grant. The program offers the necessary foundation for clients to pursue better-paying jobs in fields where there is a great need for skilled workers. We held our first information sessions for clients interested in pursuing Pre-Apprenticeship Training in Health Care in June and July. It is a great comfort and inspiration to us and her family that Diane’s work and devotion to helping struggling community members succeed will live on through this Program. 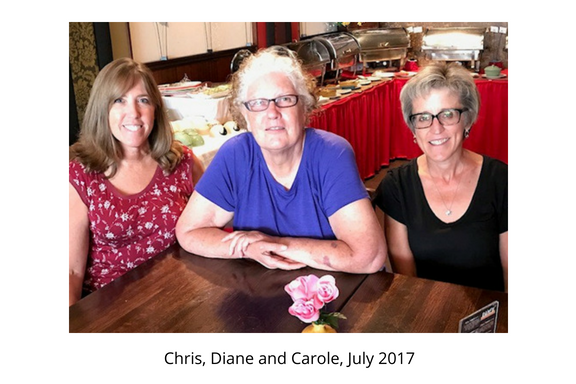 We are grateful to Diane for her years of service to Britepaths’ families, and inspired by her life’s work to offer hope, light and practical help to those around her. We miss her greatly, but know she will be with us every step of the way as we work to make life better for our neighbors.